The Dutch sapper is searching for mines after the liberation of the Netherlands from the German occupation. The sapper is equipped with a feeler and anti-mine boots. 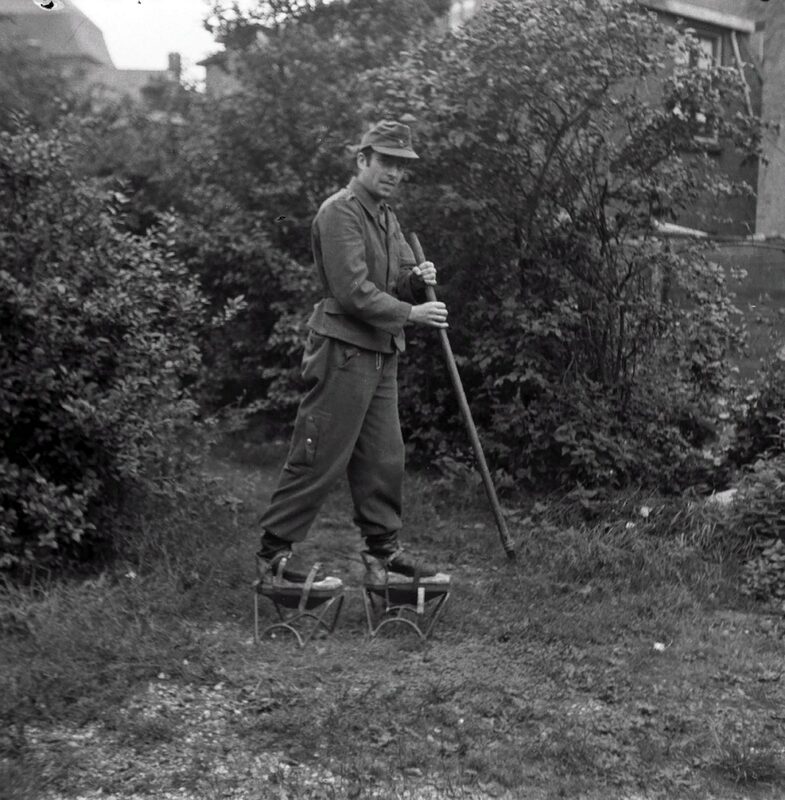 Such shoes with a blast on an anti-personnel mine had to reduce the severity of a wounded sapper’s leg.